This Sunday, May 1st at 7:30 p.m. EST, 4:30 PT, I will be the guest on "Ithaca Now" with Emily Miles for a half hour, recorded interview about Glenn Beck. You can hear this station online at www.wicb.org, and then click on "Listen Live" to hear the broadcast. 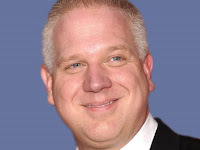 Those of you who have a friend, relative, neighbor or associate, who is a fan of Glenn Beck, have an opportunity to have them hear a case made that Beck is a liar and a hypocrite. Fox and the right-wing media's roll in creating an alternative understanding of the world will also be discussed. He's still on Fox, and he's still presenting a purposely distorted story about everything. Stopping Beck also means exposing him as the liar, hypocrite and fraud that he is to those who somehow believe that he's honest, principled and sincere. Help me help America. Please share this date, time and URL: www.wicb.org, May 1, 7:30 p.m. Thank you.